Infinite MMA’s Program for 6-11 year olds. Mixed Martial Arts classes can greatly benefit kids both physically and mentally. kids who just want to learn some awesome MMA skills! The Young Jedi MMA classes combine a mix of Boxing, Kickboxing, Muay Thai and Brazilian Jiu Jitsu with a self defence approach to training. We pride ourselves in giving kids the skills, knowledge and confidence they need in everyday life through martial arts. Kids are taught realistic self defence strategies THOROUGHLY in order to be able to protect themselves against potential physical attacks by bullies. 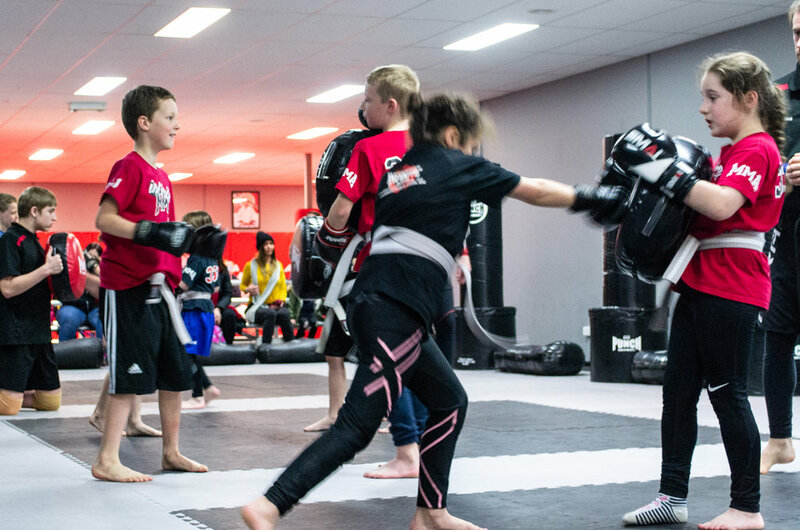 In our MMA classes, kids are learning a WIDE variety of skills and every class is different, keeping them focused and interested in what they are doing. Due to what the classes involve, kids must learn to calm their minds and their bodies in order to learn the techniques correctly. This is something that the coaches will guide them through. Practicing self discipline in our classes assists kids with having self discipline and mental resilience in anything outside of MMA. Our kids coaches are experienced and professional martial artists with many years of experience in both MMA training and in teaching kids. Because the classes involve a variety of different martial arts, the kids are constantly active and this is great for their physical health! It’s great to see kids having fun and getting active when we are in the middle of a Digital Age! 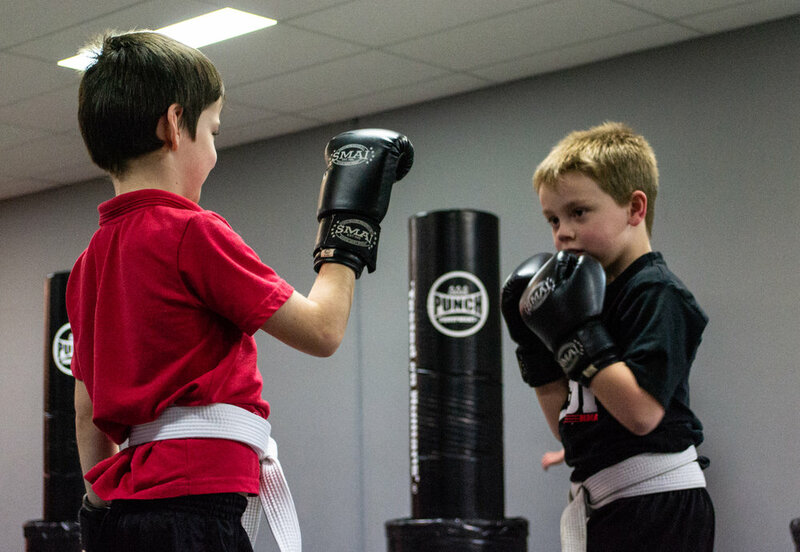 Due to the classes involving a mix of Boxing, Kickboxing, Muay Thai and Brazilian Jiu Jitsu, kids also get to experience all different varieties of the sports! All of our kids classes finish off with a group mat chat. These mat chats give kids the opportunity to speak openly about anything that might be bothering them at home or at school. The mat chats are guided by the coaches and the kids speak about various topics each month such as self respect, honesty, anger management and much more. Kids can share their concerns in a safe environment, and also share advice between each other about what has worked to overcome struggles. In the Young Jedi Program kids can feel a sense of pride as they progress through each skill set and go through their belt rankings. You will love to see the excitement on their faces as they rush to show off what they have learned. Plus, you can rest easier knowing that your child is learning the values of hard work, commitment, and discipline that are required in our kids MMA classes. Our classes also continue over the school holidays! So kids can come along to training all year round! "Infinite MMA is a wonderful place to instil great values and self confidence in children. My son absolutely loves going twice a week and has made a huge difference to him. Cannot speak highly enough of the wonderful and patient coaches that work hard with the kids and treat them with the utmost respect. I love their philosophies about bullying and wanting a bully free Ballarat. If your child has been bullied this is definitely the place to go! It's great for everyone and every age." "The change I have seen in my son both physically & mental since he has been at Infinite has been amazing. The coach's have helped my son learn so many different skills that he can also use in everyday life. Not once has his disability slowed him down, on or off the mat. He has made friends & if infinite was school he wouldn't miss a day :)"
"My 7yr old son is a Young Jedi in MMA and has only just joined and already i can see his confidence growing he totally enjoys coming to training."